On the boys’ side, Butler defeated the Rams 107-43 and the Foxes 81-69. Nick Peterson won the pole vault with an effort of 13 feet for the Golden Tornado. 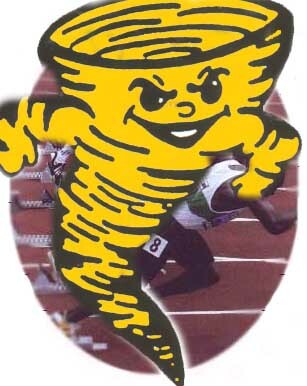 The Butler boys track and field team swept the long and triple jumps as well as the shot put and javelin to knock off North Hills 93-57 in section action. 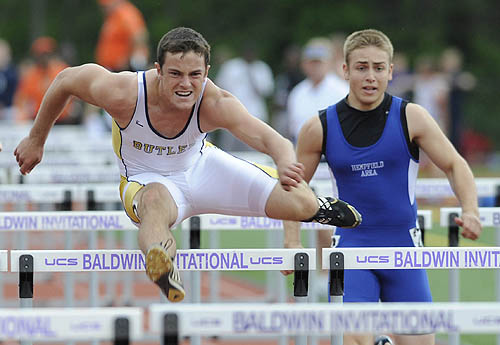 Butler outscored the Indians 52-11 in the field events. 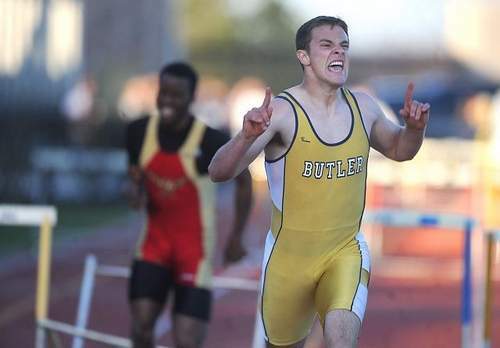 Darius Hightower earned wins in the 100 and 200 for Butler (4-0). 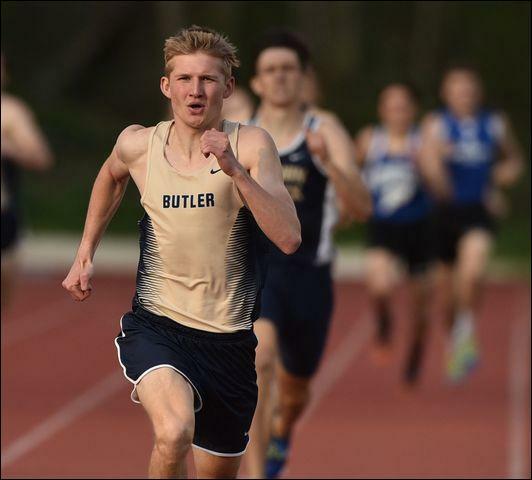 Chris Grooms placed first in both the 1,600 and 3,200-meter run as the Butler boys track and field team defeated host Seneca Valley 82-68 Tuesday afternoon. In the girls' meet, Butler won all but one event in a 124-25 win over the Raiders. Both Butler teams improved to 5-0. 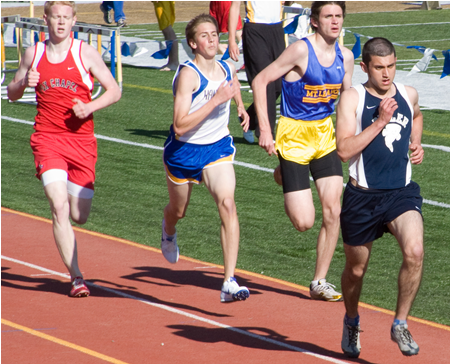 Names of SV's boys who placed first in their respective events were not provided. • Meredith Snyder won the 400 dash and high jump, but A-C Valley's girls fell to North Clarion and Cranberry. 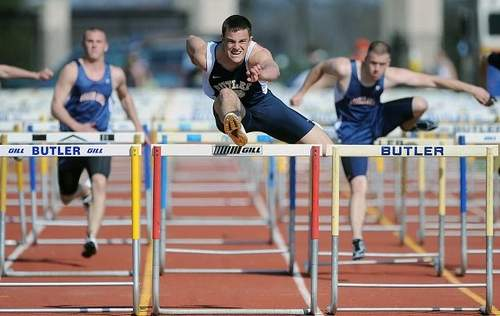 The Butler boys and girls track and field teams both opened the season with sweeps over Fox Chapel and Pine-Richland. The girls rolled to wins of 126-24 over Fox Chapel and 122-28 over Pine-Richland. Jasmine Bailey and Ava Bonetti each won two individual events in both meets for the Golden Tornado. The boys also handled business easily, downing Fox Chapel 108-42 and Pine-Richland 100-50. 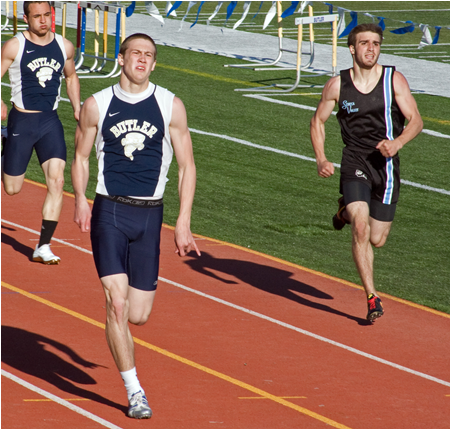 Evan Gomez and Spencer Murray each won two individual events for Butler in both meets. 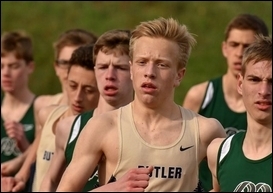 Butler's Jeff Tompkins won the high and triple jumps against Pine-Richland and Fox Chapel as the Golden Tornado boys breezed to wins of 118-32 and 105-45, respectively. 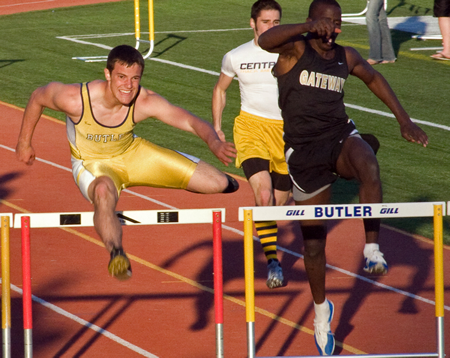 Matt Rekich won the 110 and 300 hurdle events. 3,200-meter relay: Butler (Evan Gomez, Grant Baron, Lance Dugger, Adam Olsen) 8:28.54; 110 hurdles: Matt Rekich (B) 16.38; 100 dash: Goetz (FC) 11.54; 1,600 run: Evan Gomez (B) 4:37.82; 400 dash: Tyler Gaillet (B) 53.95; 400 relay: Butler (Darius Hightower, Eli Christy, Emilio Rosario, Eric Turner) 45.78; 300-meter hurdles: Matt Rekich (B) 43.2; 800-meter run: Lance Dugger (B) 2:04.5; 200-meter dash: Eli Christy (B) 23.88; 3,200-meter run: not available; 1,600-meter relay: Butler (Derrick Lenhart, Matt Pribis, Corbin Seezox, Eli Christy) 3:41.1. Butler 95, Shaler 55, Butler 981/3, North Hills 512/3 — Evan Gomez won the 800 and 1,600, and anchored the 3,200 relay to lift the Tornado boys to the section meet victories. boys track and field team in a 97-53 victory over North Hills.